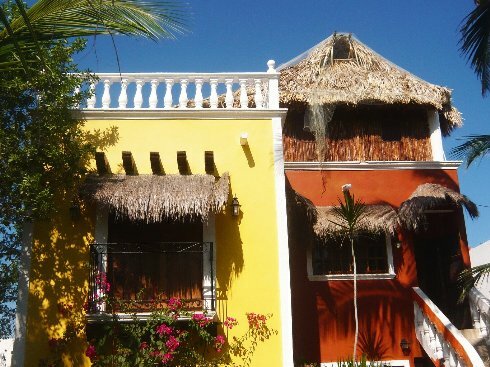 Villa y casa construidas con estilo mexicano colonial justo enfrente de la playa rodeadas de palmeras. 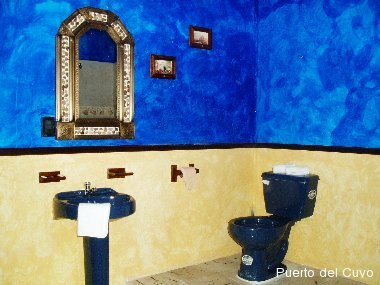 Puedes rentar la casa completa (12 personas) o sólo la planta baja (8 personas) o el Penthouse (4 personas) y la Casita en el tercer piso para 2 personas. 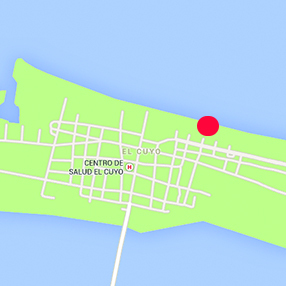 1.- Villa El Cuyo can be rented as a whole house or 3 independent Apartments (GROUNDFLOOR ,PENTHOUSE and Casa Maya Lodge with Roofgarden on the 3rd Floor), each with its own private beach terrace, entrance. 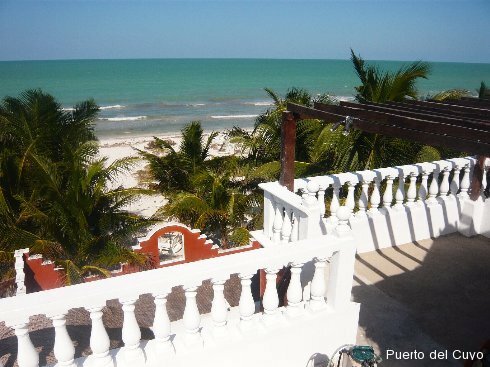 The beach front Villa del Cuyo with air conditioner was built in the mexican colonial style right on the beach surrounded by coconut palmtrees. 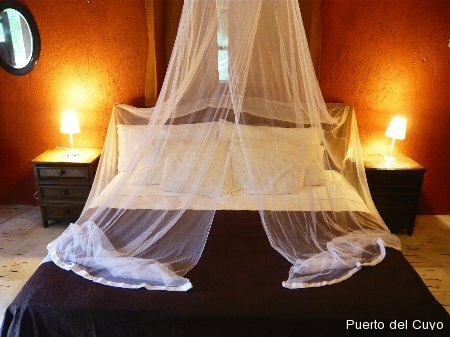 You can either rent the whole house (up to 12 persons) or just the Groundfloor ( up to 8 persons), or the Penthouse (4 persons) and the Casita Maya on the 3rd floor for 2 persons. 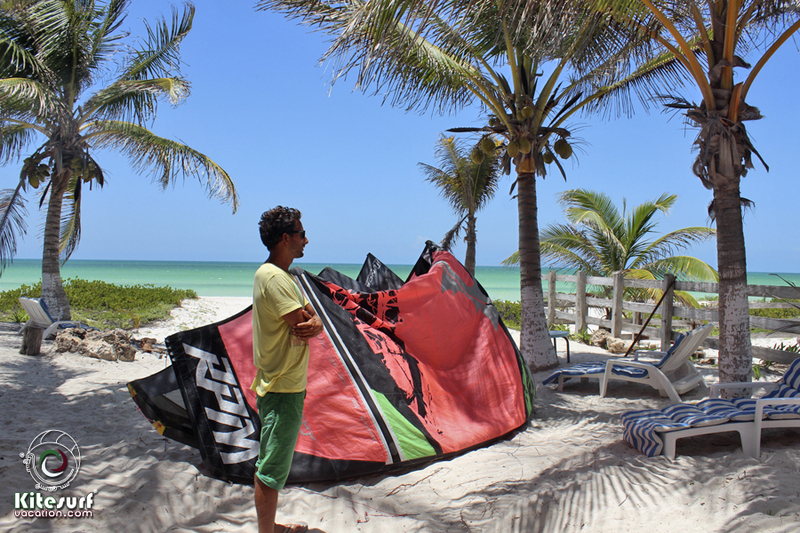 The Groundfloor is recommend for families with small children or couples that are looking for quality time with their f amilies, peace and relaxation right on the beach and the ocean, away from big hotels. 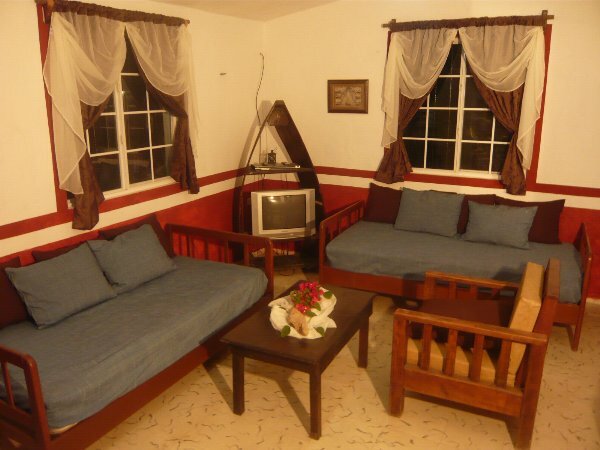 It has a fully equipped kitchen with breakfastbar, diningroom Table, livingroom with sofa, bathroom with shower and WC. 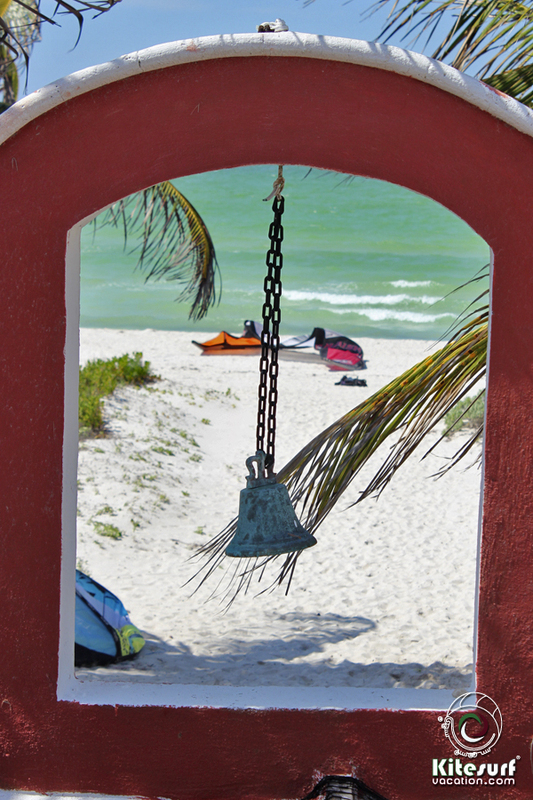 It also has an outsideshower when you come from the beach. 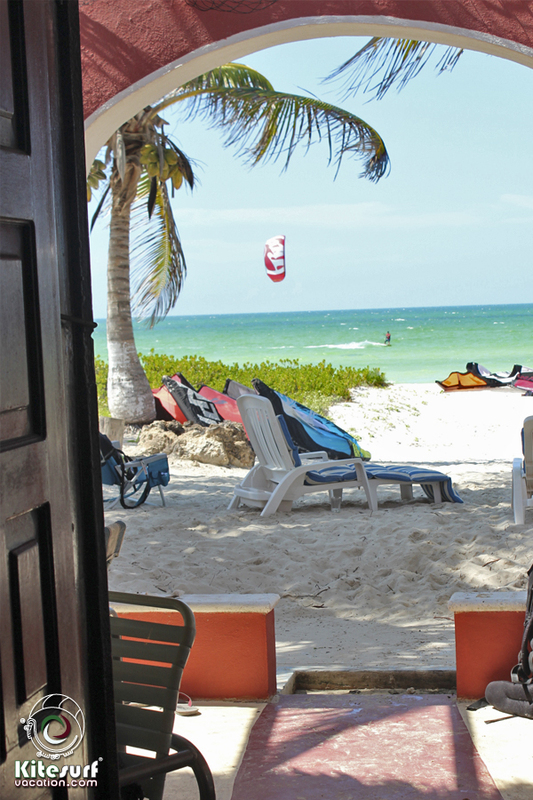 A huge palapa gives you wonderful shade right on the beach, loungechairs for 4 persons and a table with 6 chairs where you can enjoy your meal in a amazing beachfront destination. The palmtrees in front of the house give you additional shade. 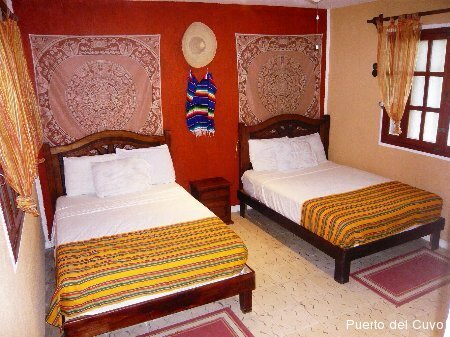 The Penthouse accommodates 2 persons in one comfortable Kingsize Bed in the Masterbedroom, 2 more guests on the Sofabed in the Livingroom and in the Casita Maya on the 3rd Floor 2 more persons. 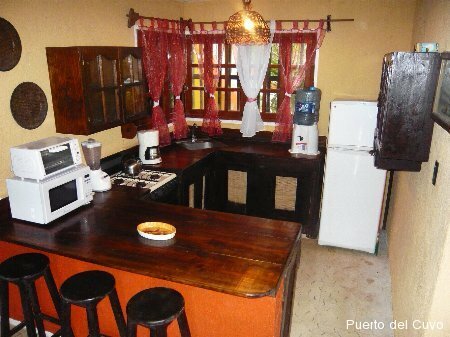 It has a fully equipped kitchen with breakfastbar and a bathroom with walk -in shower and a bathtub. 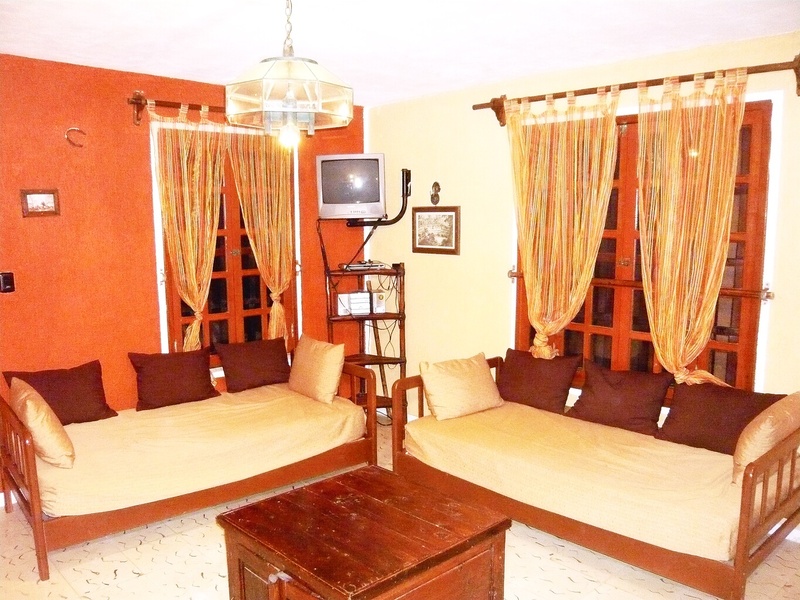 Its air conditioned Masterbedroom with King Size Bed also has a Colonial Balcony. The Penthouse is completely private and independent from the Groundfloor, with separate Entrances and Terraces to assure my guests privacy and peacefulness. 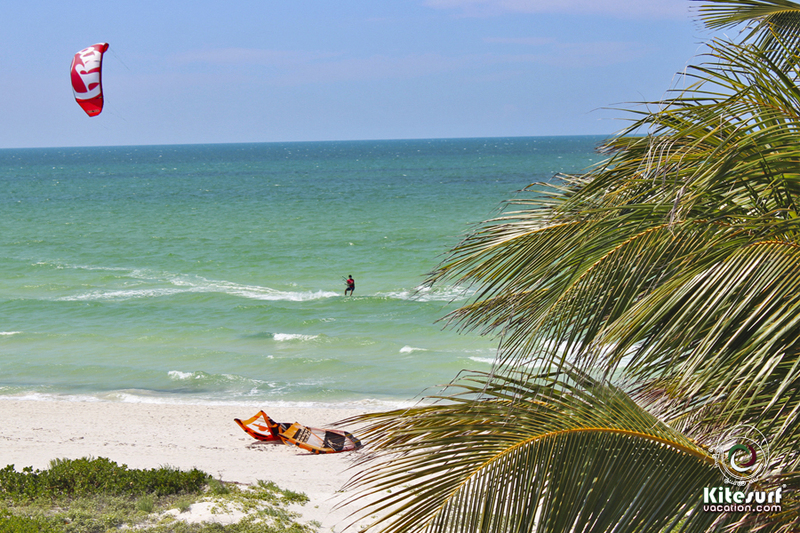 Private Chef, Tour Guide, Nanny and similar services can be arranged on request before of after arrival. 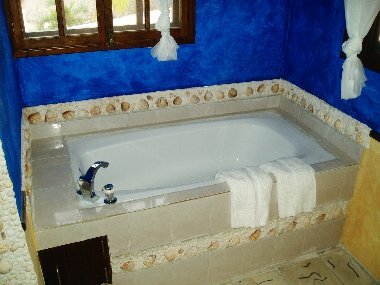 1.- Villa Antigua can be rented together or separate from the Suite, or vice versa. 2 Bedrooms, 1 Bathroom, Sleeps 4. 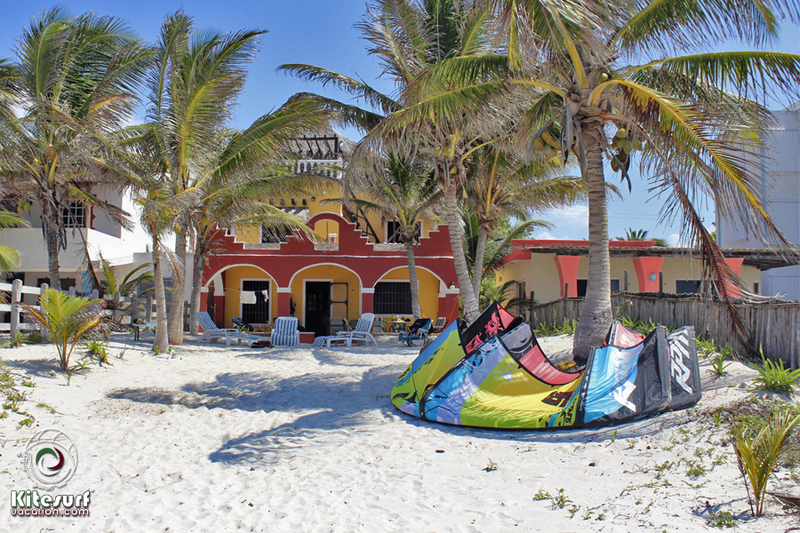 Villa Antigua and Lodge is a cosy hideaway in a Margaritaville style Beach Village, for everybody budget oriented, that is looking to enjoy the real Mexico without many tourists. 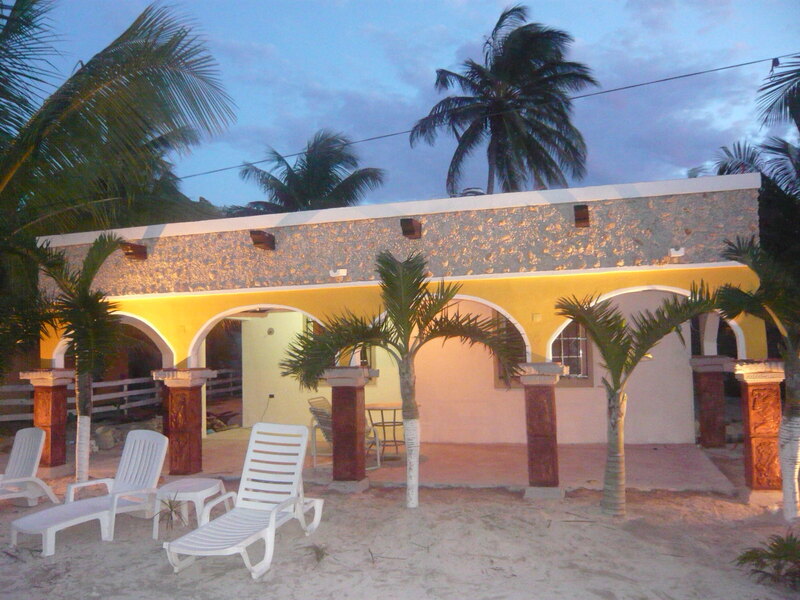 The Villa Antigua is fully furnished and ready to be moved in at any time. 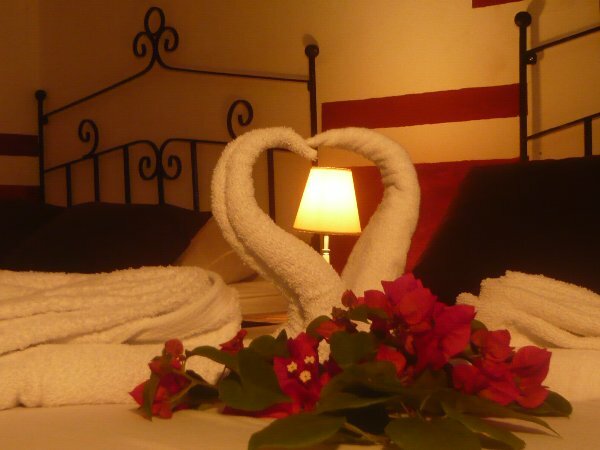 The 800ft2 Villa has a Masterbedroom with a Kingsize Bed, fully equipped kitchen, terrace, bathroom and livingroom. The 300ft2 Suite has 2 dbl beds in one room, small kitchenette, bathroom with shower and its own seperate entrance. Envíanos un email para más información.